Studio shots, no. 45: Dardens and friends. 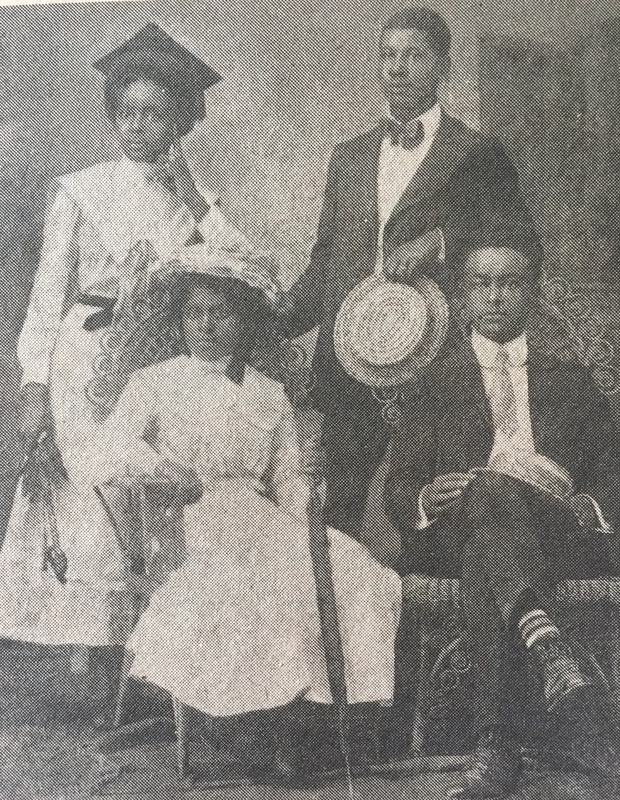 Lizzie Darden commemorating her high school graduation with Roderick Taylor (standing), her brother Camillus L. Darden (seated), and a friend (seated in Picture-Taking George W. Barnes‘ chair), circa 1903. Photograph courtesy of N.J. and C. Darden, Spoonbread and Strawberry Wine (1978). ← Leonard Medical School students.